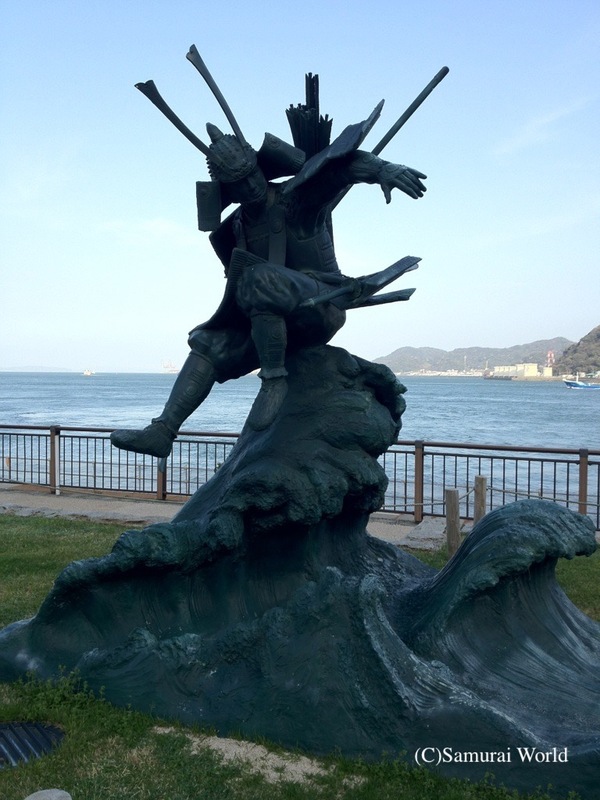 The night Battle of Ishibashiyama was fought between to the two great rival clans of the Heian Period, the Minamoto and the Taira clans, and took place at Ishibashiyama within the mountains of Hakone, near Odawara in Kanagawa Prefecture. 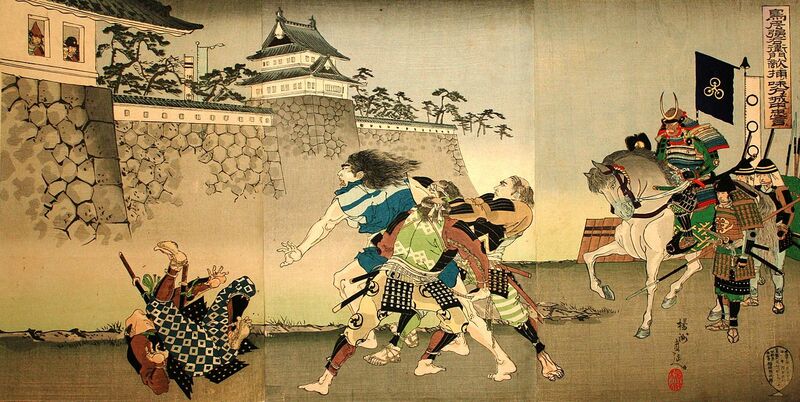 The Minamoto, fronted by Minamoto no Yoritomo, consisted of just 300 troops, while the Taira, commanded by Oba Saburo Kagechika, boasted over 3,000 warriors. 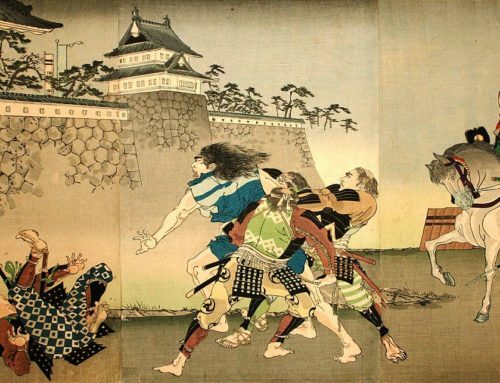 Minamoto no Yoritomo had been sent into exile by the leader of the Taira clan, Taira no Kiyomori, following the Heiji Rebellion of 1160. 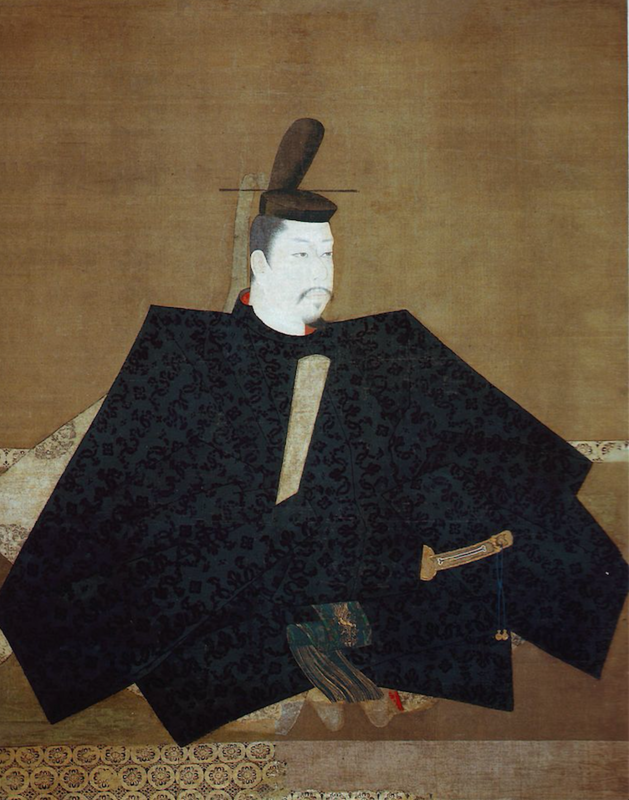 With the Taira the undisputed rulers of Japan, the losing Minamoto were either executed or exiled. Yoritomo’s life was one of those spared. In 1179, Yoritomo married into the Hojo clan, who helped fund his petition to claim his rightful place as head of the noble Minamoto clan, and oust the Taira from their position of power. A year later, the Minamoto and Taira would once again clash. 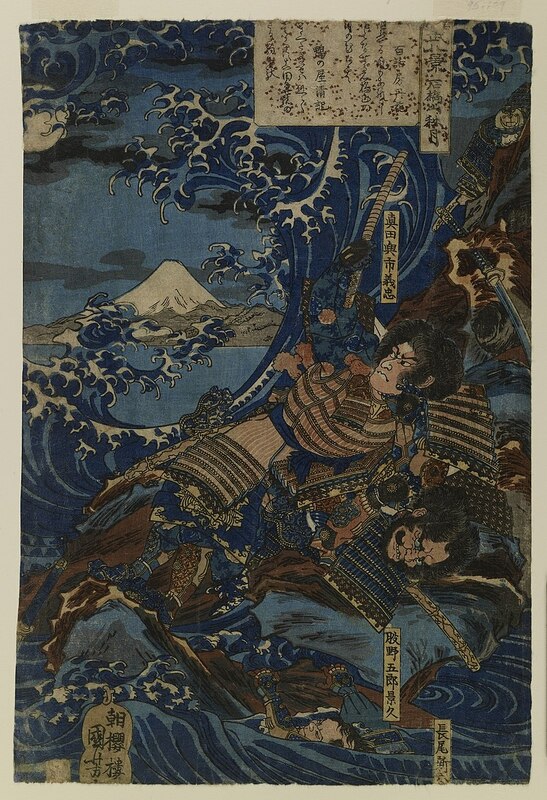 In May of 1180, Imperial Prince Mochihito called upon the noble Minamoto clan to again rise up to assist him in reclaiming his right to the Imperial throne. 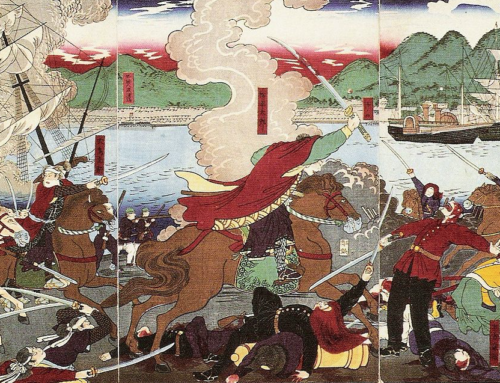 The Minamoto did indeed attempt to rise, however they could gather just 300 men. 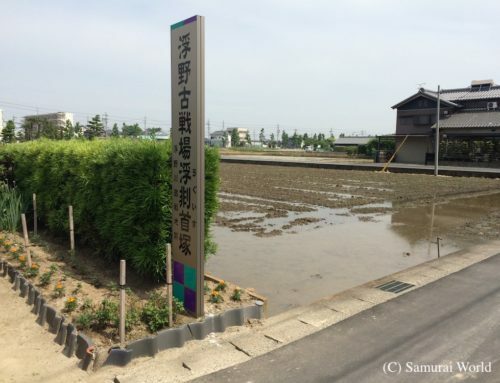 Poor weather conditions at the time had left the Sakawa River near Kamakura in flood, preventing reinforcement from the Miura clan, a branch of the Minamoto, from reaching Yoritomo at Ishibashiyama. The Taira were aware of the Minamoto rising, and knowing they were about to head through the Hakone Pass, had sent a force to route them. That evening, after dark, the Taira forces made their move. 3,000 men made a frontal attack, while another force of 300 under Taira allied Ito Sukechika made an attack on the rear, sandwiching the Minamoto between them. Despite a ratio of over ten to one, the Minamoto put up a brave struggle, but were soon overwhelmed and their numbers decimated. As they strategically retreated, many more loyal to Yoritomo were killed, until only Yoritomo and another single vassal were left standing. Together they secreted themselves into a hollow tree trunk, and remained in hiding until an enemy unit located their hiding place. 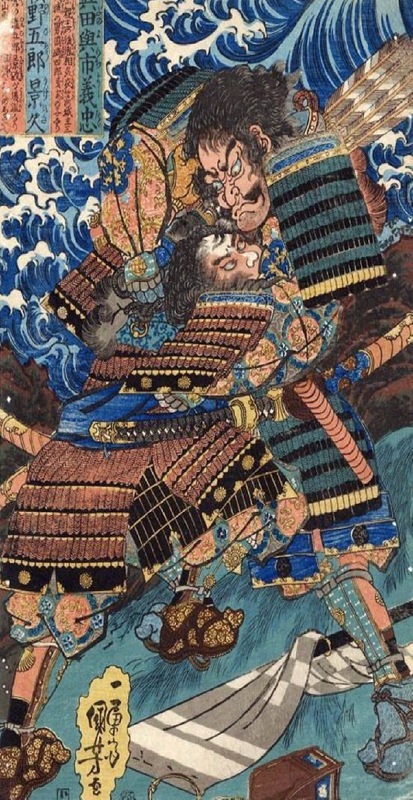 Luckily for the two men, it appears that a number enemy units, such as the one that discovered them, were in fact sympathetic to the Minamoto clans’ plight, and aided in their escape from the battlefield to the coast, where they fled via ship to Awa Province on the Boso Peninsula (modern-day Chiba Pref.). Two months later, Taira commander Oba Kagechika would approach Yotritomo and offer his submission and services, for which he would be arrested and decapitated. Over the following years, Yoritomo gradually formed a power base, and in 1185, watched as the Taira clan suffered a decisive defeat at the naval Battle of Dan-no-Ura (1185). 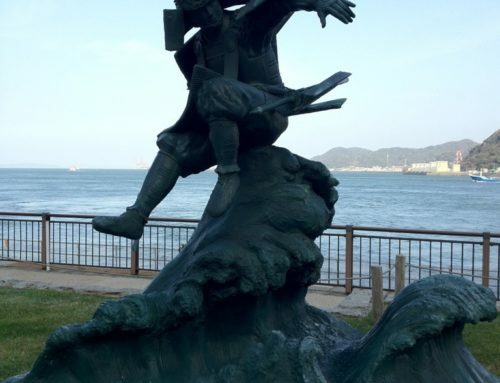 This allowed him freedom to establish a government at Kamakura in 1192, and having been invested as Shogun, ruled until his accidental death aged 51 on February 9, 1199 after falling from his horse the previous day.